We were riding through downtown when my daughter, who was a wee one at the time, noticed a homeless person. She intuitively knew he was unhappy, and hungry. She turned to me, her big blue eyes tearing up, and said “Momma, can we buy him something to eat?” I get teary-eyed just thinking about that poignant moment. I drove to a restaurant, and ordered a hardy meal and a large iced tea to go. We retraced our tracks in hopes of finding the man. But it was to no avail. I think this was the first time my daughter became acutely aware that there was suffering in the world. As a human rights advocate, I can feel overwhelmed with sadness and frustration at times. Being an advocate and staying abreast of the news can take a toll on me and my thought life, but especially my brain. I can’t just stick my head in the sand and say I’m only going to think happy thoughts, and block out anything negative. I can’t just be focused on my life and well-being. As a citizen of this planet, I have a social responsibility. Empathy and compassion are nurtured when we put ourselves in the shoes of other people. I do, however, think it’s important to be aware of our thoughts and create a balanced thought life. Thoughts create neural connections, and these neural connections can network, increasing gray matter volume in specific regions of the brain, depending on the thoughts. For example, when there is more neural activity in the left prefrontal cortex and left amygdala (positive emotions), a feeling of well-being is the result. If one is prone to worry and/or has repetitive negative thoughts, those thoughts can increase gray matter volume (and activity) in the right prefrontal cortex and right amygdala (negative emotions, fear). The right amygdala is valuable in that it allows us to be aware of potential dangers in our environment. However, sometimes real dangers don’t exist in our immediate environment, and the brain can’t differentiate between what’s real and what’s not real. It reacts to our senses and our thoughts, and with that can come a soup of neurochemicals and hormones, which in turn affects the body. We have the ability to increase or decrease (synaptic pruning) gray matter volume and activity via self-directed neuroplasticity. Having this awareness is a powerful, empowering tool. I have a strategy: for every negative thought I have, I try to immediately counter it with at least two positive thoughts or actions. That can include visualization, listening to uplifting music, doing something special for myself or someone else. Saying “I love you.” Reminiscing on happy moments in the past, or looking at beautiful scenery or images. Reading inspirational quotes or being creative. I think of things I may tend to take for granted every day and feel gratitude. Focused attention is key for me; savoring positive thoughts and experiences. From personal experience, I know self-directing neuroplasticity works. This journey is challenging, and I still have my moments of discouragement. But I’ve seen remarkable results. Categories: Healing, Inspiration, Neuroplasticity | Tags: brain, empowerment, grey matter, negative emotions, neural connections, positive emotions, thoughts | Permalink. “Neurons that wire together fire together” This is my favourite saying! We are quite alike! Victoria I have finally worked out how the proposal will read – I will send you a copy! Hi Jo, thank you for the like and comment. Oh, and I look forward to reading the proposal. Hope you have a fantastical day. I had the most amazing idea! They ask people to put forward a manifesto – you then put forward a proposal If people think this would change the world = they vote – you write!!! That is the most clinical approach to meditation I have ever heard…and I like it. It’s intriguing. Haha, I wish I was that brilliant. I tried to find the original source of that line after your comment, as it’s a common saying within neurology circles. But I had never seen it credited to anyone. So I did a Google search and the quote originated in 1949 by Donald Hebb, a Canadian neuropsychologist. My apologies to Mr. Hebb. I transposed the line by accident. It should read, “neurons that fire together, wire together.” How incredibly symbolic, right? Vance, I’ve got to tell you that this clinical understanding was quit empowering for me. Not just in the application, but in realizing that we don’t have to follow all the rules of traditional meditations. We don’t have to sit for hours on end and focus on breath, although I understand the importance of focus. It’s vital, and repetition is key, too. It is difficult to clear out the mind chatter, and become aware of internal dialogs. I used brainwave entrainment (isochronic tones in a specific frequency range – sensorimotor rhythm) to help me quiet the mind chatter, but before I discovered this neurotechnology, I accidently had a kundalini type experience, and a quiet mind was the result. Just before this I experienced abnormal electrical activity in the right amygdala, which apparently caused synaptic dropout (burnout). It took me some time to understand what happen, but I realized that this has been rather common throughout history and often attributed to a god. Neuroscientist Todd Murphy got a thumbs up from the Dalai Lama after presenting a paper he wrote on ” Enlightenment as a Neural Process — A forensic look at the Buddha’s transformation.” Here’s the paper. On this page, there is a youtube lecture by Murphy, which I recommend, too. After experiencing synaptic dropout, I became acutely aware of my internal dialogs, which was a huge revelation to me. I attribute this to interhemispheric intrusion, which Murphy explains in his paper. The bottom line, for years (probably most of my life) and without my awareness, I had been reinforcing negative thinking on a subconscious level. Much of this negative thinking came from religious indoctrination. That’s when I started countering those negative thoughts, and discovered how effective it was. Because of my Christian background, I had never read anything about meditation. This happened during the time of my deconversion, which was a difficult period for me. In mystical circles they call it “the dark night of the soul”. I think that had I still been a Christian at the time of this incredible experience that followed “the dark night of the soul”, I would have most certainly attributed it to the Christian god. But getting back to prayer…when we do it repeatedly, we are creating new pathways. So it doesn’t matter who or what we pray to, if we are praying (thinking) repeatedly) to change a certain habit, for example, and visualize the behavior we want to realize, it’s quite possible we will get what we prayed for, and atrophy (synaptic pruning) neural pathways (breaking the habit), as shown in the video. This could honestly change everything. The idea of consciously wiring our brains for positive thought should be taught to everyone on the planet. Thank you for sharing. Off-topic question: What do you know about memory palaces? I wasn’t sure you got this because I posted it up under the other one ….. Sorry for the repost – I am just excited. Hi Jo, sorry for the delay. This is the first opportunity I’ve had to respond. I sent you an email. 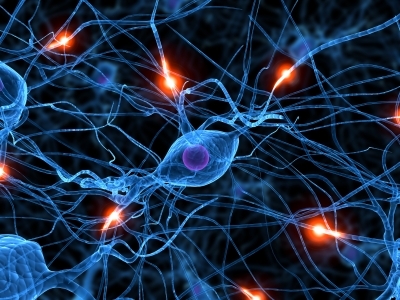 “Neurons that wire together fire together.” Wow! Did someone like Neil deGrasse Tyson say that? Because if not, it sure goes perfectly with your “The Universe Is In Us” post! The concept, theory, or more likely the LAW of Connectivity is a mind-blowing paradigm that makes more and more sense to me, especially in metaphysics and the paranormal — or increasingly better defined now as normal. Really digging your blog Victoria! Professor, thank you for your thoughtful comment. Yes, the LoC is indeed a mind-blowing paradigm. It feels natural to explore it — to embrace it.